The Oswego local on the Elk Rock trestle between Jeferson Street and Oswego. This ancient timber structure around the rocky bluffs of the Willamette River was later replaced by Elk Rock Tunnel. Property, Friends of the Library. OA#120. Description Printed on cardboard. Yellowed tape on bottom of photo. Transcription The Oswego local on the Elk Rock trestle between Jeferson Street and Oswego. 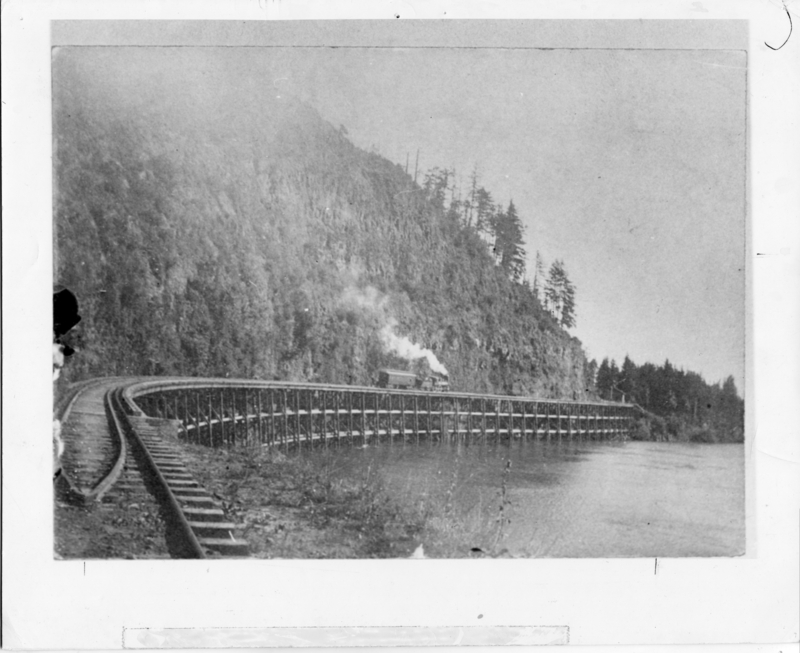 This ancient timber structure around the rocky bluffs of the Willamette River was later replaced by Elk Rock Tunnel. Property, Friends of the Library. OA#120.